The state government on its own could raise only 43 percent of its total revenue. An audit of Jharkhand’s revenue sector carried out by the Comptroller and Auditor General (CAG) relating to taxes showed it were either not or short levied and loss of tax/duty Rs 11,676.35 crore. Out of this Rs 10,282.30 crore is recoverable and “remaining amount of Rs 1,394.05 crore is avoidable loss to the government”. 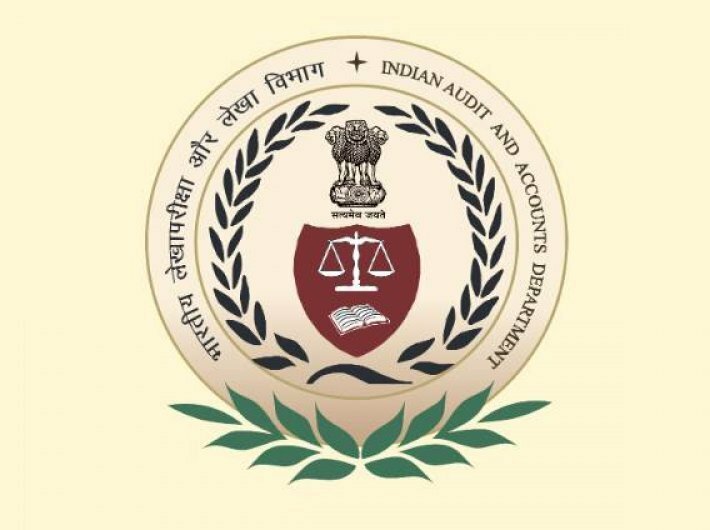 Audit observations of Rs 11,672.52 crore including avoidable loss of Rs 1,394.05 crore have been accepted by the government/departments, said the CAG report. The total receipts of the government of Jharkhand for the year 2015-16 were Rs 40,638.35 crore against Rs 31,564.56 crore during 2014-15. The revenue raised by the state government amounted to Rs 17,331.96 crore comprising tax revenue of Rs 11,478.95 crore and non-tax revenue of Rs 5,853.01 crore. The receipts from the government of India were Rs 23,306.39 crore comprising state’s share of divisible Union taxes: Rs 15,968.75 crore and grants-in-aid: Rs 7,337.64 crore. Thus, the state government on its own could raise only 43 percent of its total revenue. The appreciable increase in total receipts in 2015-16 over 2014-15 of 28.75 percent was largely on account of a 68.32 percent increase in state’s share of divisible union taxes followed by a 35 percent increase in non-tax revenue. Taxes on Sales, Trade etc. (Rs 8,998.95 crore) and Non-ferrous Mining and Metallurgical Industries (Rs 4,384.43 crore) were the major sources of tax and non-tax revenue respectively during 2015-16. The CAG report said that the arrears of revenue as on March 31, 2016 in respect of taxes on Sales, Trade etc., Taxes on Vehicles and State Excise amounted to Rs 3,237.28 crore, of which Rs 2,608.99 crore was outstanding for more than five years. Out of the above outstanding, Rs 313.48 crore was certified for recovery as arrears of land revenue and Rs 1,343.84 crore was held up due to proceedings in courts and other legal processes whereas specific action taken in respect of the remaining Rs 1,579.96 crore was not intimated by the concerned departments. The number of Inspection Reports (IRs) and audit observations issued upto the year 2015-16, but not settled by June 2016, stood at 740 and 7,192 respectively involving Rs 8,075 crore. During the year, test check of the records of 123 departmental units relating to Taxes on Sales, Trade etc., State Excise, Taxes on Vehicles, Land Revenue, Stamps and Registration Fees, Taxes and Duties on Electricity and Mining Receipts was conducted. It revealed failure to or short levy and loss of tax/duty of Rs 12,737.35 crore in 45,954 cases. The concerned departments accepted under-assessment and other deficiencies of Rs 12,120.88 crore involved in 40,355 cases and effected recovery of Rs 362.23 crore in 804 cases in 2015-16. Audit of Implementation of mechanism of cross-verification of VAT/CST transactions in Commercial Taxes Department revealed the following: There was tax evasion of Rs 37.65 crore by 277 unregistered dealers due to inadequate implementation of mechanism for cross-verification of transactions in the Department to identify the dealers who were liable for registration. Cross-verification of intra-departmental data revealed suppression of purchase/sales turnover by 42 dealers and consequent under-assessment of tax and penalty of Rs 51.17 crore. Cross-verification of data obtained from departments of Government of India/PSUs with the returns filed by 64 dealers registered in Commercial Taxes Department revealed suppression of purchase/sale turnover and consequent under-assessment of tax of Rs 1,026.36 crore. Irregularities in determination of sales/purchase turnover of 36 dealers registered in 14 Commercial Taxes Circles by the assessing authorities resulted in under-assessment of tax and penalty of Rs 294.32 crore during 2009-10 to 2012-13. In 12 Commercial Taxes Circles, interest of Rs 173.06 crore was not levied by the assessing authorities on the claims on account of exemptions not supported by documents in case of 34 assessees during the period between 2010-11 and 2012-13.